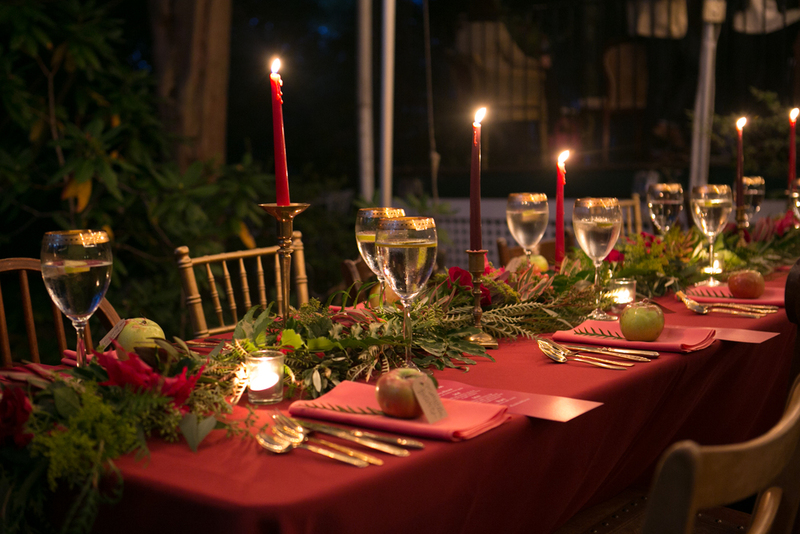 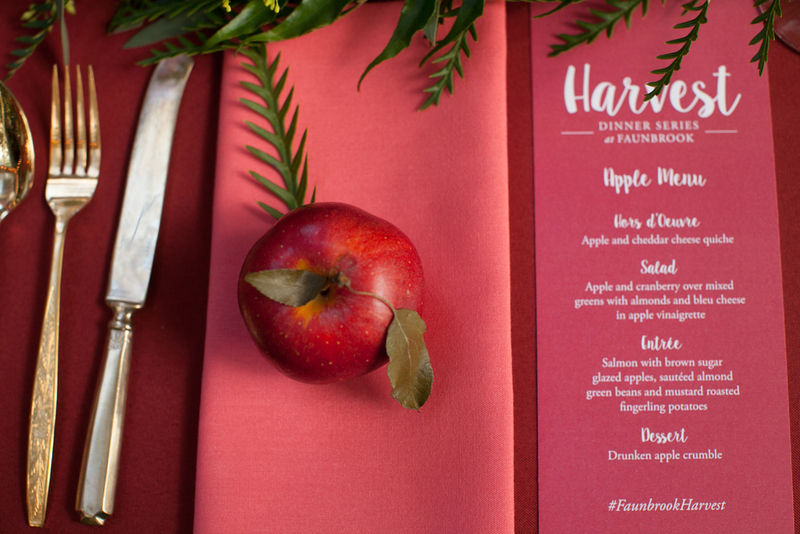 The final event of 2015’s Harvest Dinner Series at Faunbrook Bed & Breakfast featured apples! 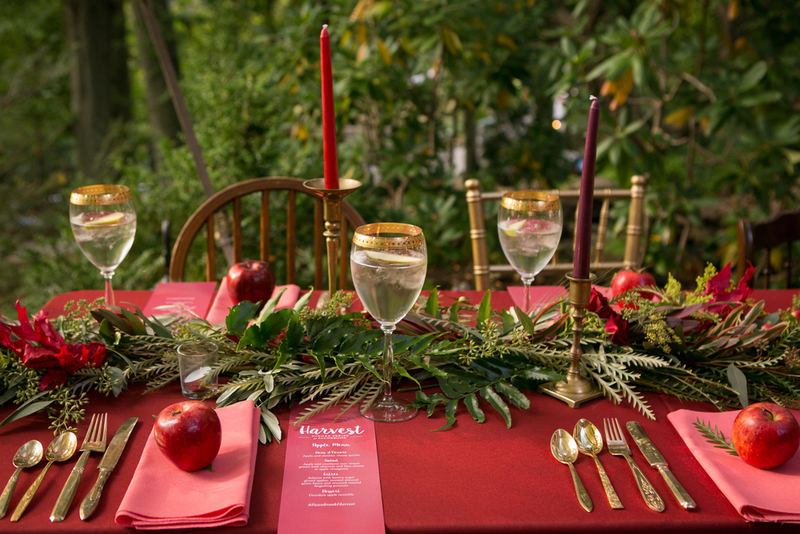 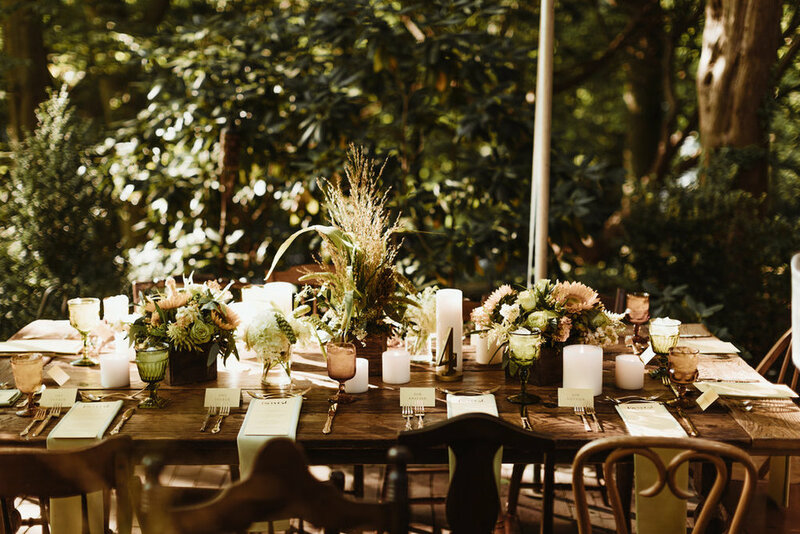 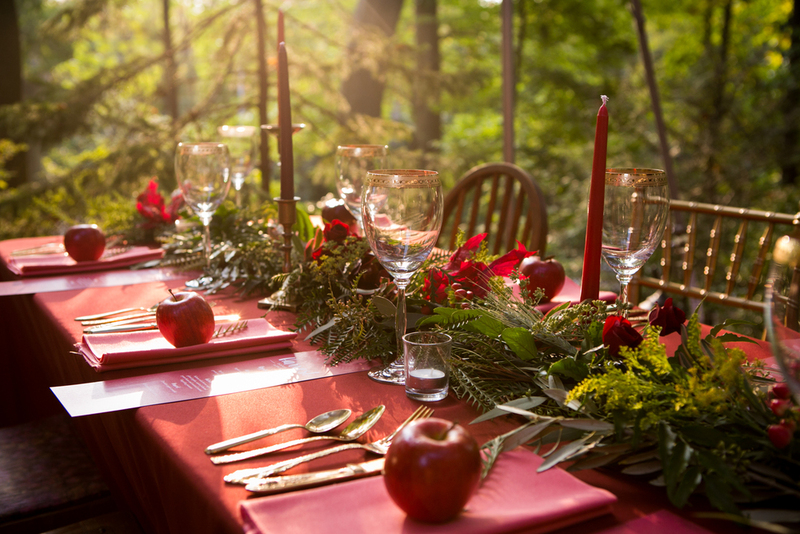 We used shades of apple to create a lush autumnal tablescape. 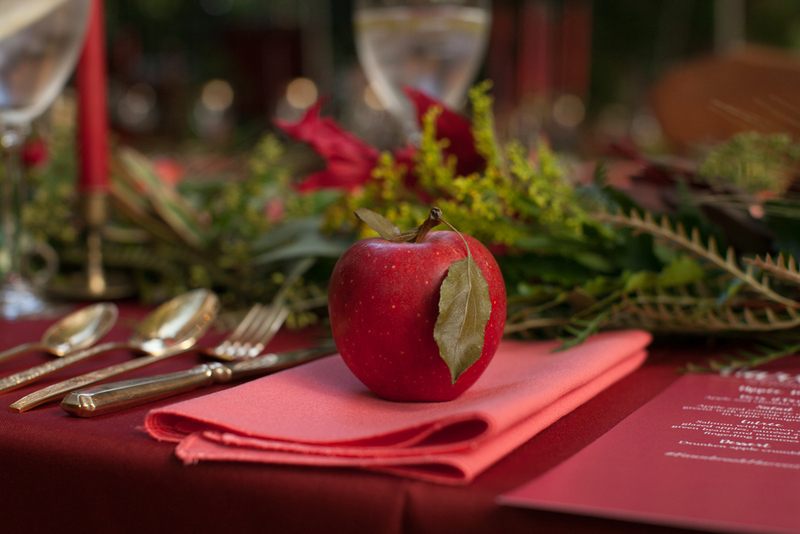 We paired the deep red of a McIntosh apple with the light coral of a Fuji. 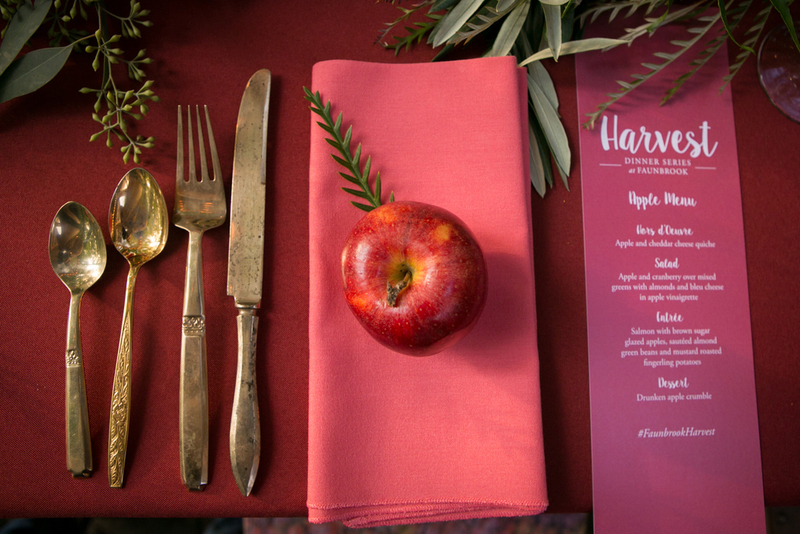 Yep, we’re apple nerds! 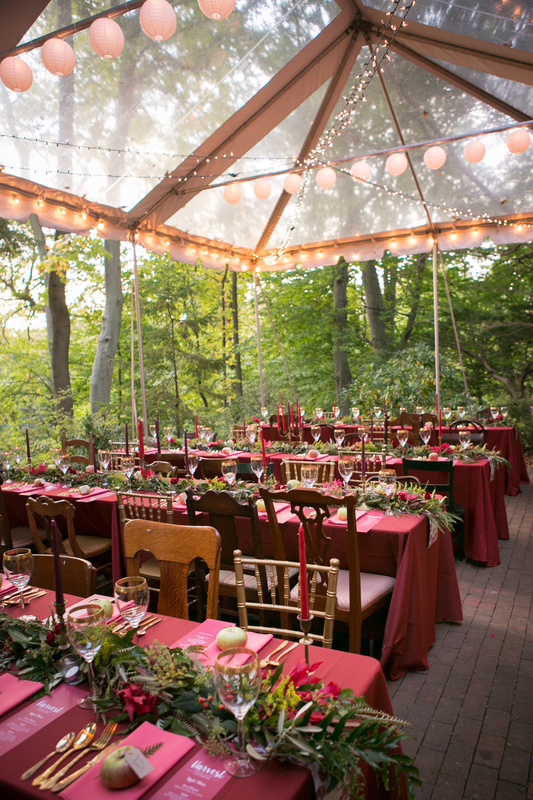 The early Fall dinner is always popular as the air is crisp and everyone is eager to soak in the sunlight before hibernating for winter. 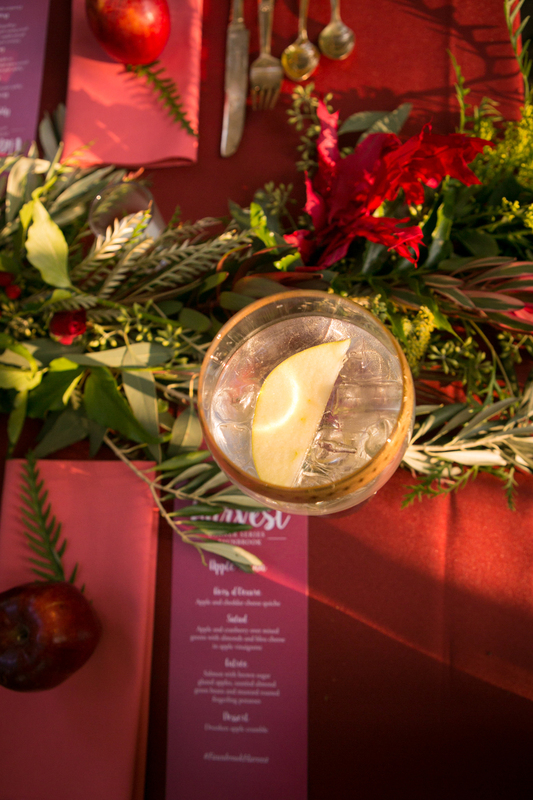 Thanks to our amazing team of vendors for another great year! 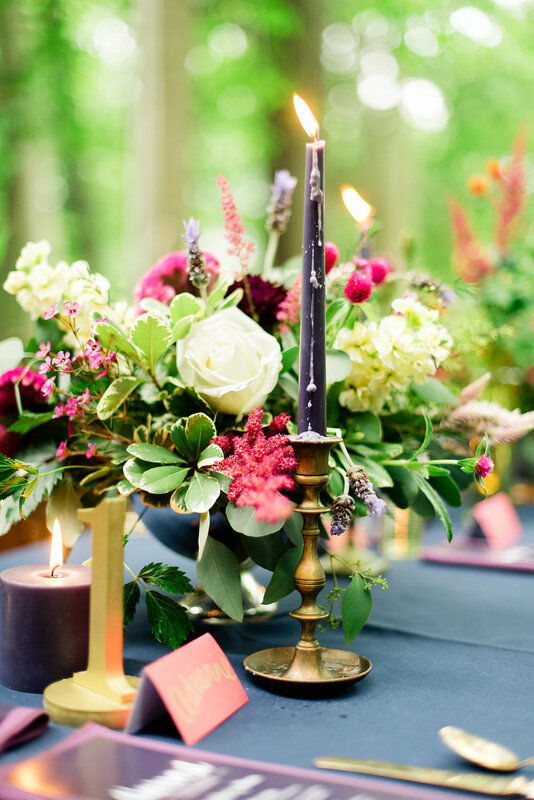 While the sun set on a hot summer night, guests were welcomed by a deep color palette and lush blooms. 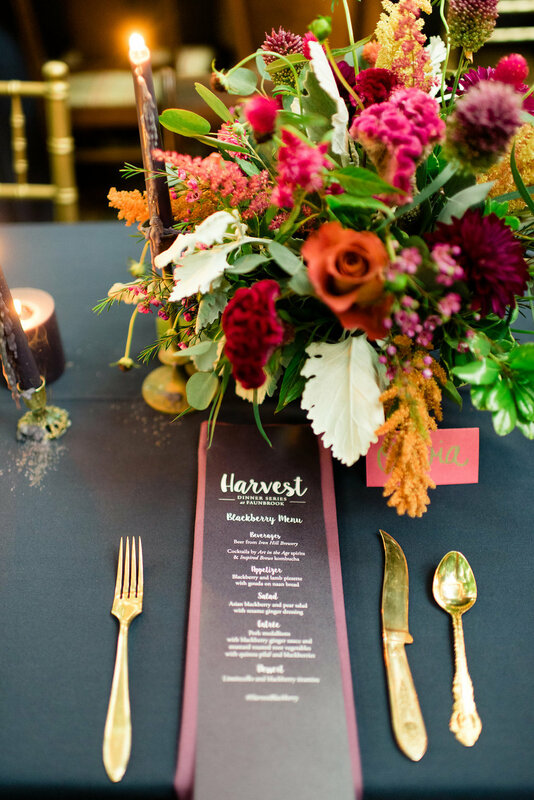 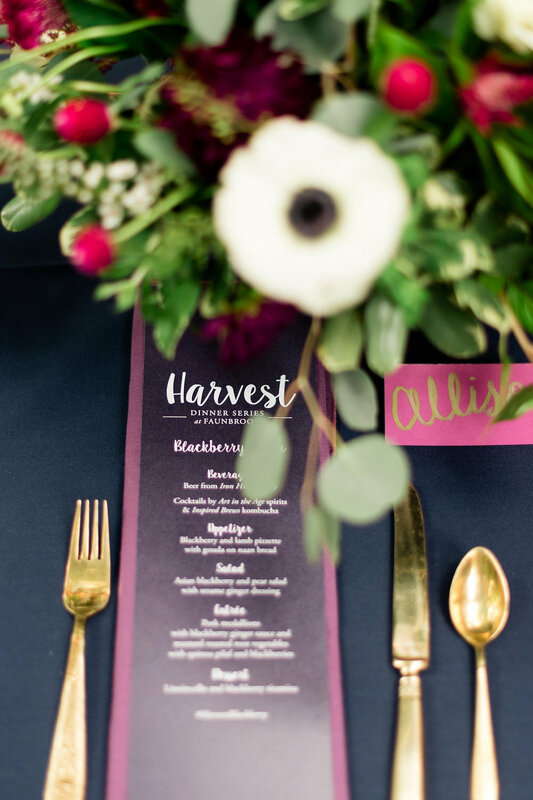 The Blackberry Harvest Dinner was the fifth in a series of produce-inspired collaborative dinners we created to show off the talents of local small business artisans at Faunbrook Bed & Breakfast. 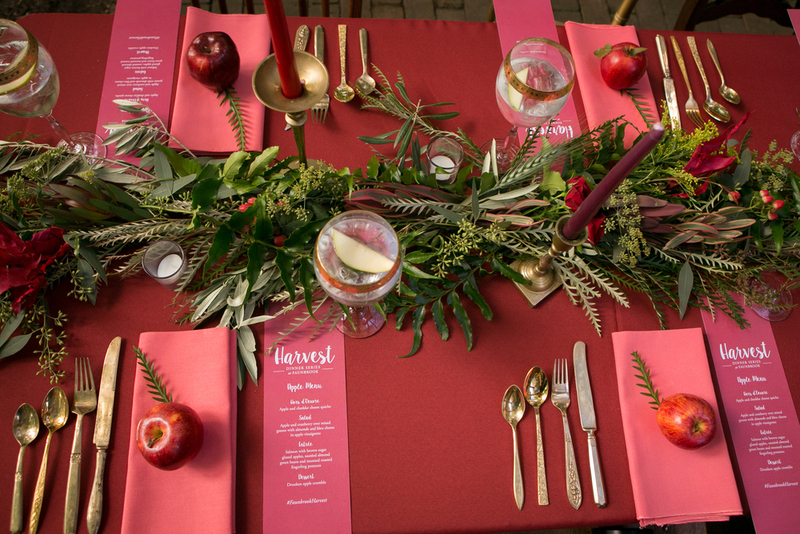 Magic happens when you pull talented people together, give them a loose color palette and a theme as simple as a fruit, and invite them to run with their creativity — a real treat for neighbors looking for a special night out!